More recently, the use of an electric cable to heat a roof, water supply, pipeline or drain was considered something new. But today it is a common thing. Such a cable is not designed to supply current through it, but to generate heat. Increasingly, this cable is used for heating. And if demand grows, then supply increases. Therefore, many companies offer their products to consumers, competing with each other. 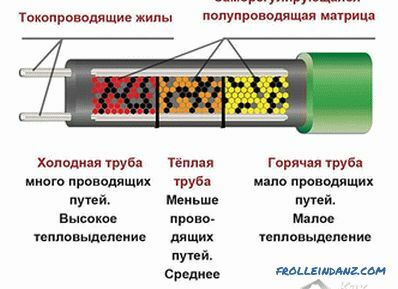 They produce many types of cables, so the consumer's eyes can run away - which one is better to choose, so that it is suitable for its purposes and is of high quality and reliable? In this article we will help you learn how to choose a cable for heating pipes. You should know that there is no universal option for all occasions. In this regard, before you go to the store, you need to understand what you expect from the heating system. What will it serve for what purpose? Domestic use. We are talking about cottages, summer houses, country houses. In this case, high power cable is not required. Utilization. This includes water supply, sewage heating system, sewage. Industrial use. Powerful heating systems and high temperatures are already needed for this purpose. 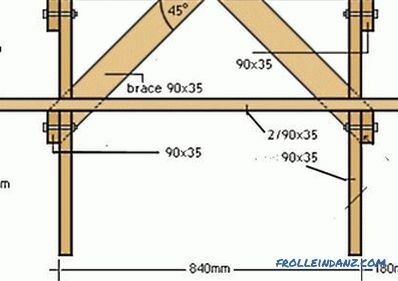 Having defined your goal, you can learn the basic parameters. In what the difference? If we talk about a resistive cable, it is sold exclusively of a certain length and has a constant power. Warming by such an element should be careful and uniform. The big disadvantage is that it can burn out due to overheating. Therefore, it is much cheaper than self-regulating. 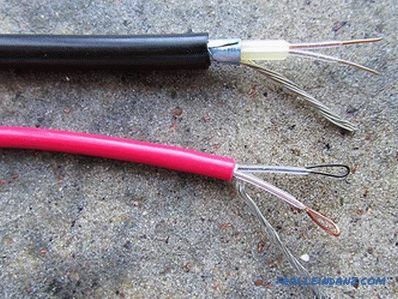 The fact that the resistive cable often burns out has led to the fact that it is practically not used for heating pipes. 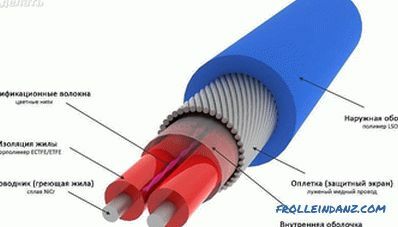 Moreover, the emergence of a self-regulating heat cable has simplified the task of many consumers. The heating cable is self-regulating though it costs much more, but still replaced in the market resistive. And this is not surprising, because it is more reliable, economical in electricity consumption and easy to use. As you can see, the advantage is clear. Nevertheless, who will be the favorite, is a purely personal matter. 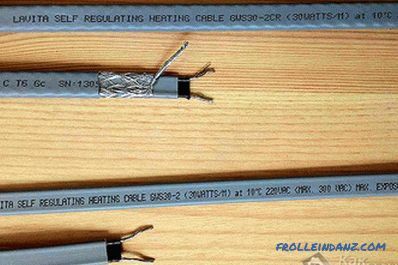 Heating cables are produced with and without braiding. The difference between them is great. 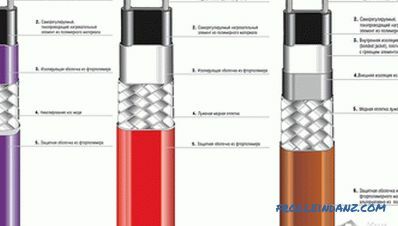 The braided thermal cable is the heating cable itself and only one external insulation. It can be said, an economy option. Such a cable is more expensive, but its price justifies the quality. 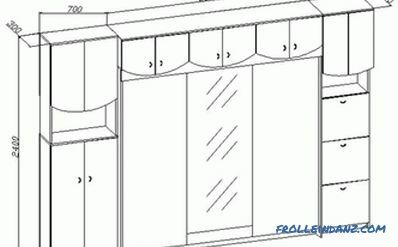 Models are considered as standard insulation made of polyolefin. Such you can find in any store. They are suitable for the average user, whose goal is a standard heating water supply, defrosting of frozen pipes, sewers, roofs, etc. But there are other cases. On production, the main property of external insulation should be resistance to aggressive media, UV rays, etc. Low-temperature . Cable heating is possible up to 65˚C maximum, while the power density is 15 W / m. If you need to protect the pipes from freezing, or to thaw them, you can choose it. 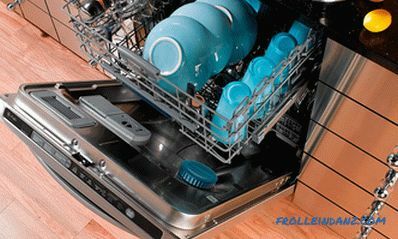 Other similar surfaces with a small diameter and volume can also be heated by it. Medium Temperature . 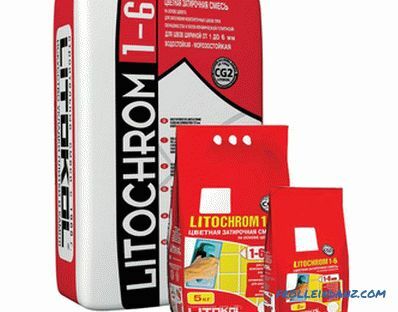 It gives the maximum heating temperature not exceeding 120˚C, with a power in the range of 10-33 W / m. It is used for heating drainage systems, thawing frozen pipes of average diameter, roofing. High-temperature . With a power of 15-95 W / m, the highest temperature can reach 190˚C. Mostly such cables are used in industry. For First you need to understand that high power is not the key to success. Since if you buy a heat cable with a power greater than necessary, you simply throw your money away. Such a device will consume too much electricity. Because of this, you need to choose the equipment that will best meet the needs. pipes of 80 mm and more are heated with a powerful 40 W / m cable. Now you can choose a cable that is right for you, and will also serve a specific purpose. 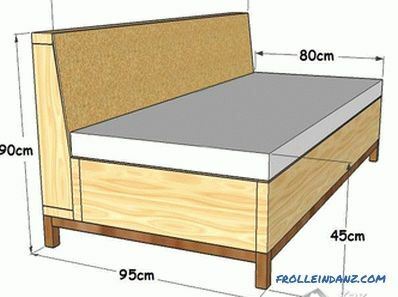 This will help you not only to use it rationally, but also to save your money. Having such a baggage of knowledge, you can safely go to the store for a purchase.